Why Should I Play at Slots.lv? Exclusive Slots.LV Bonus Code SLOTS22 for $22 FREE! Click here to get your free $22 from the Slots.LV Casino. Visit Slots.LV and redeem your bonus. Slots.LV provides an online Vegas type of experience with a great collection of online games to choose from and an excellent welcome bonus for new players. Online since July, 2013 and accepting U.S. players, Slots.lv is Canada-based and licensed and regulated by the Kahnawake Gaming Commission. The casino emphasizes a Las Vegas style, offers a strong game library, and has a reputation for excellent customer service and no-hassle cash-outs. 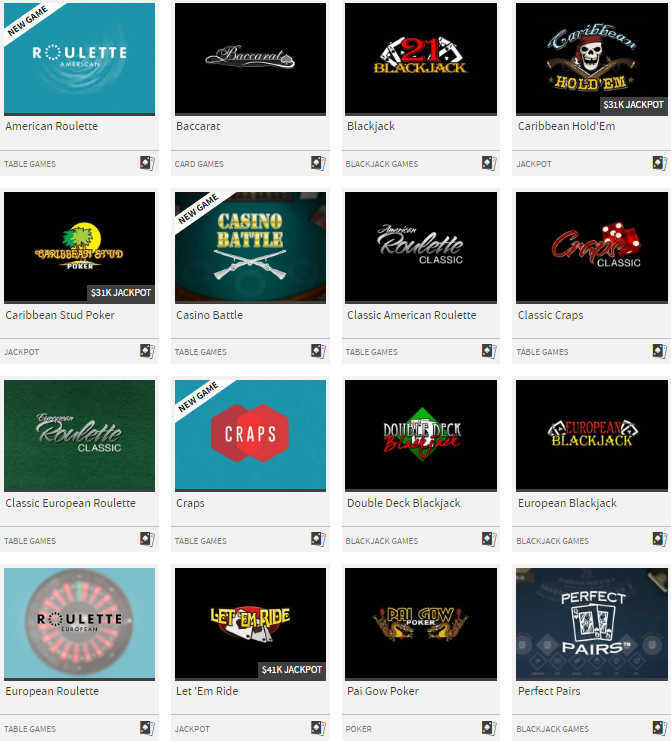 Slots.lv is one of the most robust online casino options focused on the American and Canadian gambler. The game selection is excellent offering an amazing selection of slot games and 3D video slots, a mobile casino site fully compatible with both Apple and Android devices, and over 400 games instantly accessible directly from your browser! Just register and redeem bonus code SLOTS22 and receive a $22 no deposit bonus. Try out the awesome games risk-free! Enjoy 9 deposit bonuses totaling $5,000 in casino bonuses. And the bonuses are CASHABLE! Receive $25 free from Slots.lv after playing $250 in the mobile casino and $250 in the desktop casino! For a limited time, we have an exclusive Slots.LV bonus code that provides a $22 NO DEPOSIT BONUS! If you can clear the 100x wagering requirement on the no deposit bonus, then you can withdraw any remaining funds and keep it! You are only allowed to play slots, keno, and scratchcards with the no deposit bonus. Slots.lv also offers 2 deposit bonus codes that makes up the $5,000 Slots Welcome Bonus. The Slots.lv $5,000 Welcome Bonus provides a 200% match on your first deposit for up to $1,000 when you redeem the bonus code HELLOSLOTS200. You may then redeem the bonus code HELLOSLOTS100 on your next 8 deposits and receive a 100% bonus of up to $500 each time, for a total welcome bonus of $5,000! What this shows is that all your play on Slots will count 100% towards satisfying the 35x wagering requirement. However, if you play Video Poker, only 10% of the value of your wagers will contribute towards reaching your 35x requirement. Because the Slots.lv bonuses are CASHABLE, they are all excellent promotions for new players. 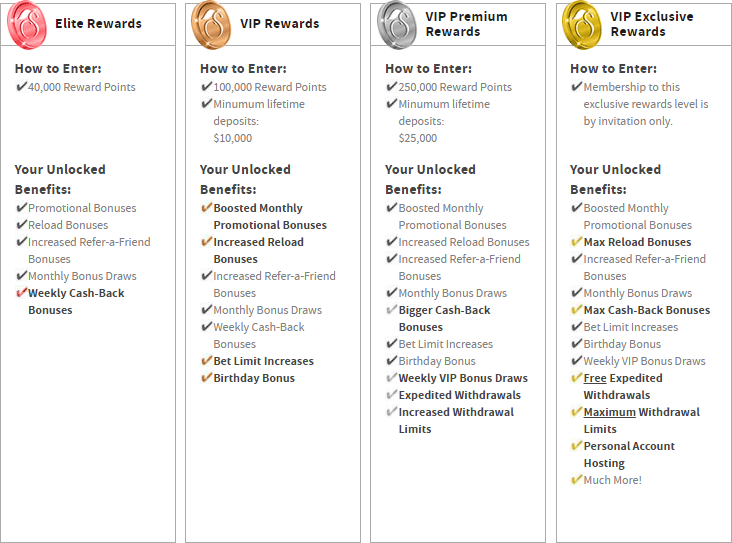 We will get into further details of each bonus below. You may redeem the code SLOTS22 only once per player. You may only play slots, keno and scratch card games with this bonus. The $22 No Deposit Bonus is subject to a 100x wagering requirement. Once you’ve reached the 100x requirement, you may withdraw whatever bonus funds are remaining up to the maximum amount of $125. If you have profits above the $125 maximum, then those funds are forfeited when you cash out. Click here to redeem the SLOTS22 bonus code. You may redeem the code HELLOSLOTS200 only once on your very first deposit. You must redeem the bonus code first, and then make a deposit. Your deposit will be matched at 200% for a maximum bonus of $1,000. In other words, deposit $500 and play with a total bankroll of $1,500. For example, if you deposited $500, you would immediately be awarded a $1000 bonus for a total of $1,500 to play with. To satisfy the wagering requirements, you must play a total of $45,000 on slots, keno, and scratchcards (or more if you include other games) before you can process your withdrawal. If you were to break even after wagering the $45,000, you would have profited $1,000 by cashing out the bonus money. Click here to redeem the HELLOSLOTS200 bonus code. You may redeem the code HELLOSLOTS100 across your next 8 deposits. This bonus code offers a 100% match on your deposit for a maximum bonus amount of $500 each time, for a total of $4,000 in bonuses. The requirements and rules are the same as the 1st Deposit Bonus described above – before withdrawing your deposit amount, bonus money, and any profits, you must meet the 35x wagering requirement. Click here to redeem the HELLOSLOTS100 bonus code. Slots.lv will also award you a $25 chip the first time you wager $250 in both the mobile casino and $250 in the desktop casino with a given week (Mon-Sun). The bonus will automatically get credited to your account. In addition to the 9 welcome bonuses, both new and established players have access to a weekly match bonus as well. This promotion is worth as much as $700 and requires only a minimum deposit. To take advantage, use the code WEEKLY7 when making a reload deposit, and the casino will match that money by 100 percent up to $100. You can then use that code up to seven times each week for a total of $700. For whatever reason, Slots.lv doesn’t allow you to use it all at once, which is a bit annoying but a minor inconvenience in the grand scheme of things. Slots.lv also gives you a one-time shot at $10 in bonus money. To take advantage after registering your account, like Slots.lv on Facebook, share their profile picture and then message them your account number. You don’t even have to make a real-money deposit before taking advantage of this, so it’s a great way to sample the site without having to use real money or waste your welcome bonus. The wagering requirement on the $10 bonus is a bit high, 50 times, which means you’ll need to wager $500 to clear it. Slots.lv calls its loyalty program MySlots Rewards and you’re automatically enrolled when you register a casino account. It’s a simple single-tier system that provides you one Reward Point for each $1 wagered on a slot machine and one Reward Point for each $4 wagered on all other casino games. As you earn Reward Points, you can move up levels and gain more player benefits. The more points you earn in a month, the higher you can rise through the hierarchy and then to maintain your current level, earn the same amount of points in a 3 month period. 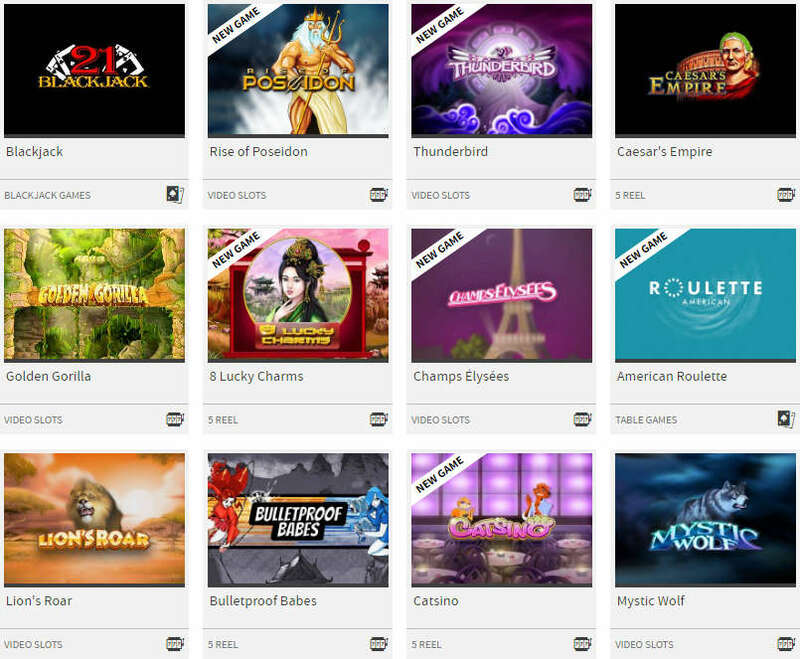 Slots.lv uses a combination of the Betsoft and Realtime Gaming (RTG) platforms providing a vast selection of games. All the games are accessible instantly in your browser without the need to download or install any software. Enjoy the full game selection right from your browser without any degradation in performance, animations, or sound. As the name implies, Slots.lv offers a tremendous selection of slot machines. In fact, Slots.lv offers over 400 games that can be played instantly through your browser! Table games include all your favorites – Blackjack, Roulette, Craps, Caribbean Stud Poker, Pai Gow, Baccarat and more. Specialty games include Keno, Bonus Bingo, scratch cards, sic bo and a virtual racebook. And Slots.lv offers 17 variations of Video Poker! Slots.LV is a worthy place to play, check it out risk-free and at least see if you can get lucky with the free $22 no deposit bonus! Click here to play at the Slots.lv Casino and cash in on your free bonus money! For more bonuses and promo codes, you can visit BonusPromoCode.com. Also check out Betting Sites USA for reviews of the best online sportsbooks. Also received my $22 free with your promo code, thanks! I feel the games are pretty fair, I ended up losing the $22 but it wasn't my money anyways. Will be making a deposit since I really like the casino - just need a bitcoin wallet first. No fees with bitcoin! Slots.lv is simply the best online casino out there. They have amazing games and I was able to deposit and start playing in 30 seconds. I won some money and requested a check for half the amount and received it very quickly. I understand that payments is the most difficult aspect with online casinos and I had no problems at all. I plan on playing more here! Just like Ashley Almost everytime i have deposited i spin it in in about a minute without wins at all once i was shocked i won $1 on a $3 bet, couldn't believe it. Amazing. i hit that after 11 $3 spins. then i did not hit another win before losing all of my deposit. everytime i go through the deposit in a under a minute. the random number generator is in their favor and needs to be inspected without warning them it is being inspected so they can't set it within legal parameters before it happens. (Legally it has to be set so it is alittle more than half in players favor) no scheduled appiontment just show up. and they need to be surprised with an audit from the USA tax comission since they allow USA players. They also need to have alot more no deposit bonuses throughout the year. all other casinos i play have one sometimes in between every deposit you make and others have them weekly. they have had 3 i have qualified for over a year of being a member of their casino. I redeemed free $22 code and played for a few days on it. I cashed out the max. of $100 and received a check via Fed ex three days later. This was the easiest, fastest transaction I had ever had from anywhere. No runaround. "From what I got from accounting/security department is that when she made her deposit via BillPay, she didn't include her account number properly which caused the delay in the funds being issued to her account. The security department is dealing with her now as she threatened to charge back all her deposits, they just want to educate her that she can't make those threats and that they apologize for the situation but if she makes those threats again they will end up closing her account due to fraud risks." I do not recommend this casino, I have been playing online for over 10 years and have never experienced such awful service. It has been 6 days since I maid my first deposit, which I was happy about as they offer bill pay as an option. I have over 30 emails going back and forth and I still get the same cookie cutter copied and pasted response and still no money credited to my account. I can handle the bade service I suppose but to not be credited my money that is another thing, this is not even about a bonus, this is money I paid and have proven with banks slips and still nothing. To top it off my account has been disabled 2 times because they claim I am in the USA which I am not, ironically both times after I sent a firm email regarding my missing money. I also think the set up is awful and the games are pretty crumby, I have deposited via DBT while waiting for my other amount to show up and I can run through a 20 in seconds, no wins, no bonuses. All and all they better get their act together or they won't last in this competitive industry where there are amazing no hassle casinos all over. Once my issue with my missing money is fixed I will never use them again. Do not recommend!